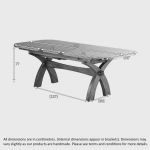 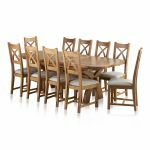 Make a statement in your dining room with this impressive dining set. 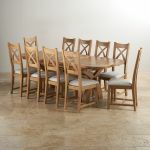 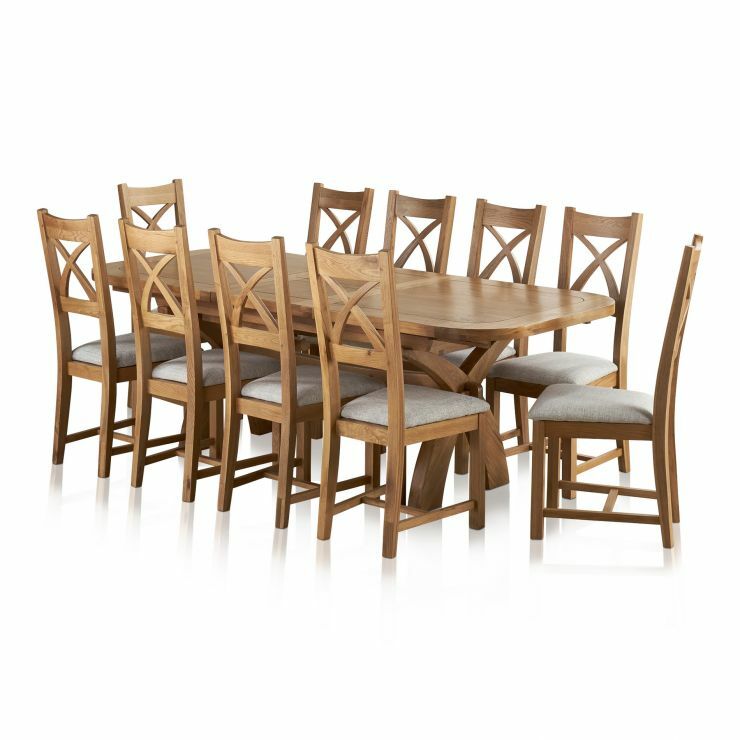 Finished in our popular Natural Oak style, it includes our Hercules dining table and 10 Cross Back chairs. 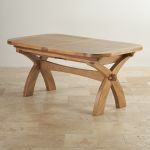 The table wows with elegant arched leg detail. 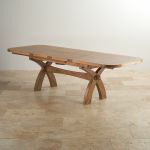 Design features such as a chamfered central beam with mortise and tenon joints and inlaid groove detail. 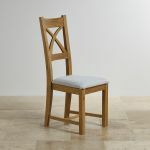 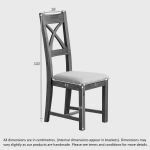 The 10 chairs echo this impressive styling with a striking and comfortable crossed back. 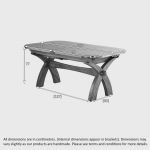 Perfect for adding a real classic feeling to your home.